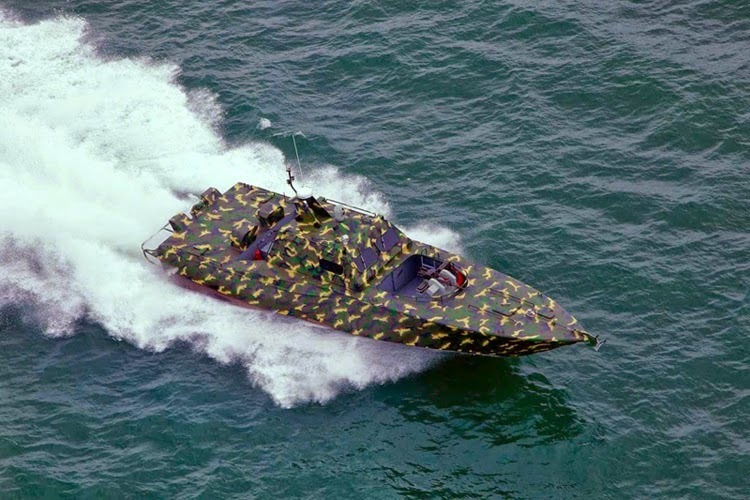 Suncraft International Shipbuilding Company based in Singapore has teamed up with partners Radimax Group of Malaysia to market a patrol boat to intercept high speed titled Piranha ASD for the Southeast Asian nation. Piranha ASD is formed on the first idea is a high-speed train attack, but then it continues to be modified to perform other roles such as preventing piracy, border patrol, search and rescue . 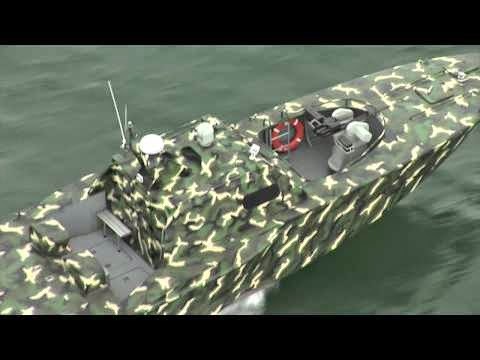 Earlier Suncarft also offers a similar version of Piranha ASD, length 17m for the Nigerian Navy. “The cooperation between Suncraft and Radimax was established primarily to provide for ASD Piranha Sea Guard of the Royal Malaysia Police,” said Idris Othman – the project manager’s navy said at the Radimax LIMA 2015 shows past. However, Mr. Othman also stressed that, based on the positive feedback, and Radimax Suncraft received the invitation demonstration of the ability of Piranha ASD to wider areas, because this is a background basis in accordance with the Southeast Asian waters. According to the disclosure of Suncraft, Piranha can reach speeds up to 40 knots / hour and has a range of 180 nautical miles when running at a speed of 35 knots / hour. Ship can carry up to 4 to 6 crew. In the standard configuration, patrol boats equipped Piranha 2 pedestal 7.62mm machine gun mounted on either side of the back. The activists also have the option to equip the ship another weapon station remote control 12.7mm by Suncraft development. Besides providing Malaysian Coast Guard, vessel’s capabilities have been demonstrated before Legislation Maritime Authority Malaysia. The company says it can reach the Coast Guard Vietnam and the Philippines to demonstrate the ability of the Piranha.